Touristplacesinindia offers complete information on the city of Munnar, Hill Stations in Munnar, Tourism in Munnar, Munnar Hill stations, Hill Resorts in Munnar, Munnar Hill Resorts, Resorts in Munnar, Hill stations in India, Munnar tourism, Munnar Tour Packages, Travel to Munnar, Tours of Munnar, holiday in Munnar. Located in “God’s Own Country”, Munnar is a picturesque hill retreat and vacations in this heavenly place would be a welcome break from the usual humdrum of city life. Munnar hill station in Kerala is one of the most sought-after by the tourists who want to experience the sublime exquisiteness of nature. It is an important town of tea estate and the undulating tea gardens seem to captivate the senses. Munnar is at an altitude of about 1, 700 meters above the sea level and is blessed by the undulating terrain of the southern Western Ghats. It was once upon a time the most favored retreat of the British and is strategically located at the confluence of the three rivers Muthirappuzha, Chandavurai and Kundaly. A trip to Munnar is going to be a satisfying one since it offers many places of interest apart from its unsurpassed natural beauty. The most popular among the tourist attractions in Munnar is the Mattupetty Dam which is one of the most scenic points in the entire region. Watch the actual beauty of Munnar in Pothamedu which is an important plantation hub of this town. For the adventure enthusiasts, Attukal would be an ideal place since it features formidable tracks ideal for trekking and hiking. Some of the other scenic points and attractions of Munnar are Pallivasal, Nyayamakad, Rajamala, Chithirapuram and Echo Point. The Munnar hill town of Kerala has gained huge importance as a tourist destination and thus there are many accommodations that can be found here. You will find all sorts of hotels here that range from the five star to the three star categories. The Club Mahindra Lake View Resort is the five star hotel in Munnar. The four star hotels include T&U Leisure Hotel, Tea County Hill Station Resort and Windermere Estate Hotel. The three star category includes Issacs Residency, Munnar Woods Resort, Sterling Resort, The Siena Village and The Tall Trees Hotel. Munnar can be easily accessed by air, rail and road transport. The nearest airport is in Kochi and the other one is in Madurai which is 142 kms from Munnar. The nearest railway stations are in Kochi and Kottayam and regular train services are available to and from Munnar. The road transport is equally good and you can easily travel to Munnar from the nearby and distant towns of India. The local means of transport such as buses and private cabs are easily available for transportation in and around the city. Add more pleasure to your travel to Munnar by setting out on the exciting excursions to the nearby destinations such as Anayirankal, Top Station, Marayoor, Cheeyappara, Meenuli and Nadukani. The flora and fauna of Munnar is very impressive and diverse and add to the beauty of this town to a significant extent. 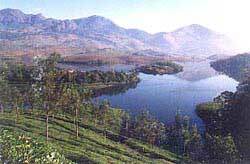 Know more about Munnar by clicking on to touristplacesinindia.com, which offers valuable travel information on Munnar.